I prefer not knowing exactly how flickr picks photos to be in it’s explore featured area. It just sort of happens. I know when either there is a weird spike in activity or you get the norice that your photo has been added to the In Explore group. I’ve had a few get in there, and it’s never quite the ones I would pick. A weird thing happened the other night. Two of my photos were picked from my most recent batch, how does that happen? See if you can figure which are mine (when I get a notification of the In Explore group I try to grab a screen shot right away because they move off the top fast). Two screens worth of the In Explore Group, two are mine! The stuff I read suggests that you only get one per day. 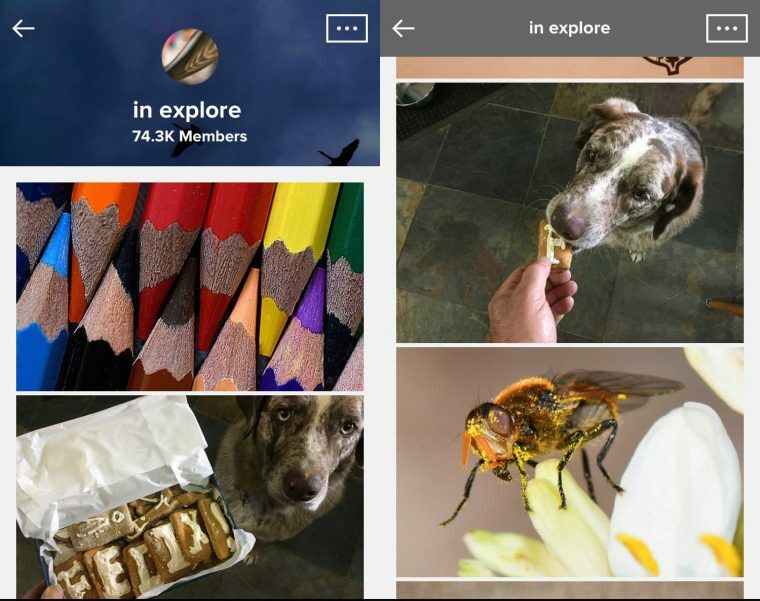 Besides the bee in the image above, is there a bug in explore? Now it does fit the Explore description in that these are the last two photos I posted that day. But they really were more snapshots, taken with my iPhone. The top one I did give more attention to framing, trying to get the spelling of the dog cookies in adjacent to Felix’s gaze in the corner. But the bottom one? just snapped. If I was more attentive I would have moved the chair leg you see in the bottom right. The views and faves numbers are almost identical. Why? I think the first photo is much better. My wild guess is that the most of activity among flickr explore is people go through fast and view/favorite everyone, like it’s part of playing the game of garnering attention. Does that make the numbers less meaningful? I’m more curious that anything. Getting explore is a treat. 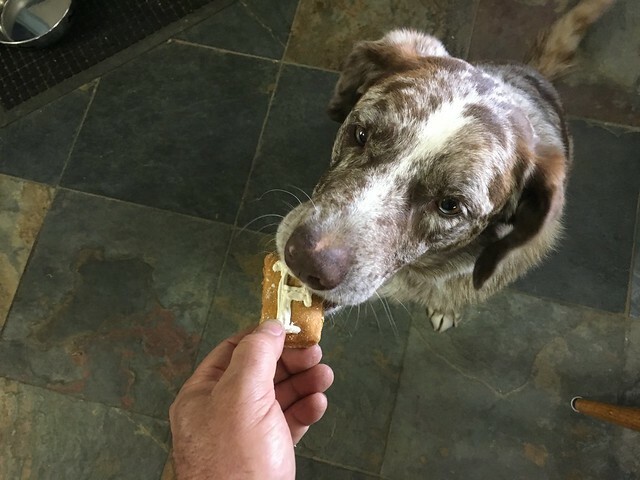 No, the real treat was the whole story behind the photo. Those lovely dog treats came as a surprise package from a colleague I collaborated on a workshop in August. 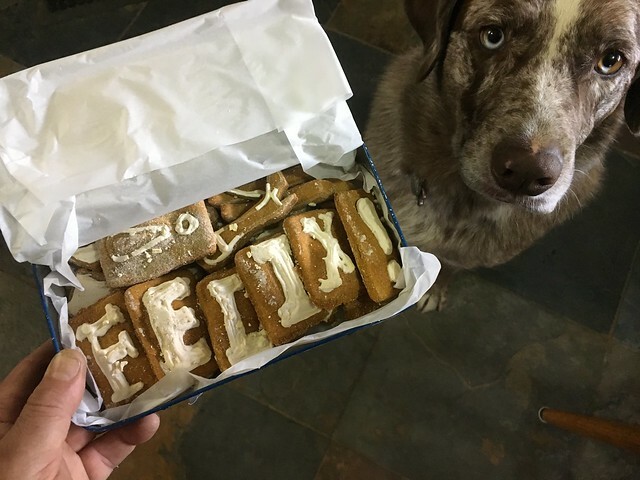 Look at those custom treats she sent, home made! Happy Felix. No mystery there, that was a wonderful gift. Great post—classic CogDig mic if digiral and analog worlds??? Take a SPLOT Test Drive or... Instant SPLOT?